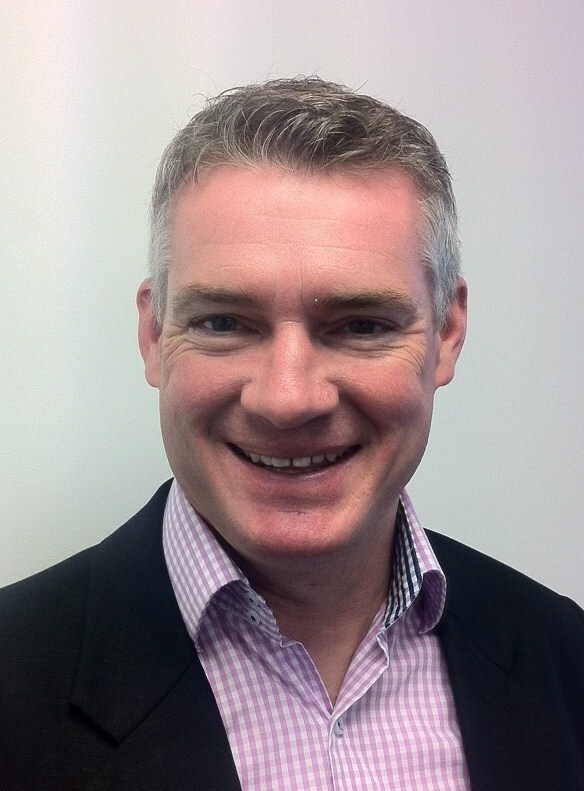 Post number 9 comes from David Whitaker, a fellow Englishman doing the HR thing in NZ. David has operated as an HR/recruitment practitioner for over 20 years and worked in a variety of sectors including airports, commodities, telecoms and the oil and gas sector in New Zealand, UK and Asia Pacific. You can find him on Twitter (@DwhitNZ), where he describes himself as a man “with eclectic taste and often quirky countenance.” His passion is to find that often elusive compatibility between organisations and candidates, and whilst his recruitment experience has mainly been from an internal (client) perspective a recent spell as an external recruiter gave him a whole new view of the recruitment experience. You wouldn’t think that in this day and age bottom feeding sales driven recruitment agencies, the rabid hyenas of the recruitment world would still be a topic of conversation but unfortunately despite the best efforts of the GFC to have killed them off the zombies are still with us marching relentlessly to the corporate door in pursuit of brains, sorry sales. There are professional, quality driven good recruiter folks around that you shouldn’t mind paying an honest fee to. This post isn’t about them but unfortunately they get tarred with the same brush as the other guys. Real estate agents and financial advisors are now regulated, isn’t it about time recruiters are too? After all the process of recruitment requires a high level of confidentiality and ethical behaviour, a process that is hugely important for both organisations and individuals to get right. The problem with the external recruitment industry as has been said many times before is that there are very low barriers to entry. Anyone with a desk (actually they probably don’t need a desk) a computer and phone can set themselves up and operate without any controls whatsoever. Actually one of the main problems for the recruitment industry is that those on the receiving end of these dubious services, “the client” often gets the standard of recruitment service they deserve! This problem usually arises as they see themselves in the driving seat, in a position of power as purchasers and holding all the cards in what has been a highly candidate rich market. Throw in the drive towards in house recruitment and the status of the external recruiter declines even further. With such an adversarial approach things come down to the lowest common denominator, usually cost. We all know what you get if you pay peanuts, sorry monkeys an undeserved analogy there. I also include the dreaded SLAs and PSA’s here which sound like STI’s for a good reason. Surely it works best when there is a partnership approach between agency recruiter and client that is built on trust and integrity. The recruiter is an expert in his or her sector and knows the market and top talent in it intimately. Crucially, they also understand the client’s business and what candidate would best be suited in that environment. The client for their part should not be a fair weather friend who flits around like a flirtatious butterfly from one opulent blossom to the next. Successful relationships are those that endure so where is the wisdom in jettisoning your trusted recruitment partner at the first sign of trouble, especially when that intimate knowledge of your business they hold can be used against you. To avoid this mutually assured destruction in bad recruiter/client dynamics, I suggest you look out for and avoid some of the many worst practices of recruiters and clients. 1. The fictitious vacancy – “XYZ Recruitment Company has a number of key positions it’s been instructed to fill by our industry leading clients so if you have the talent then we have the opportunities!” Well, the actual number of positions is usually zero and the agencies are looking to fill their databases with candidates just like you. 2. Lack of feedback –this is an oldie but a goodie! “We have so many candidates that we can’t possibly reply to them all so we just reply to the ones that have been shortlisted”. Technology means there is little excuse not to reply to candidates and they have become so used to no response they will be your friend for life when they get one. 3. The consultant switch – The big guns have seduced you into a sale and then the rookie recruiter with scant knowledge of your business or industry is assigned to the case! 4. “Advert chasing” – you’ve placed an ad yourself and then are subjected to numerous calls from recruiters who have noticed that you have placed an ad and would you like to consider their candidate for your vacancy. This is slightly different scenario from the ad that some agencies place to duplicate your ad and then present you with candidates that could have applied to your ad. 5. Lack of homework – Recently I had two recruitment companies presenting the same candidate who held an engineering degree from a University in the US that I’d never heard of. A little googling established that the qualification was bogus a fact that had escaped the attention of the two recruiters. 1. The clueless client – Somehow by process of osmosis the client expects to appoint a candidate despite an inability to articulate what the role actually consists of and where it fits into the organisation. 2. Cheap equals cheap – someone I know with a dental emergency responded to an online ad from a dentist. What should have been a $500 job turned into a $2000 job and climbing as corrective treatment was required from a very expensive dentist who had to put the cheap one’s work right. It works the same when you use a ‘cheap’ recruitment service. 3. The long goodbye – At each stage of the hiring process the recruiter and candidate have been faced with delays and various prevarications from the client’s end until the candidate gives up the ghost and goes somewhere where they can actually make a decision. Average candidates are prepared to wait, top people won’t! 4. Pay the bloody bill – You’ve placed the top quality candidate with the client’s business using your intimate knowledge of the market’s talent and your years of experience, and the client tries to quibble over your fee. No one likes paying lawyers, dentists or real estate agents either but if they’ve done a good job then that should be respected. 5. The lolly scramble – Some clients think that if they send out a whiff of a contingent assignment to the market at large this will result in lots of high quality candidates and they will end up paying a low fee. This is rather like throwing breadcrumbs to the resident gull colony, and all that will be achieved will be confused candidates who do not know which agency is representing the client and the effective recruiters that could have got you a great end result being lost in the melee. In this festive season of goodwill to all let’s all try to remember that above all best results can be obtained if we acknowledge that the process of recruitment is about people. When the human factor is taken out and the slavish devotion to the sale or the robotic infatuation with the SLA takes over, the magic of a fusion of interests that sees a client-recruiter-candidate win is lost forever. Great blog! Good overview from both sides of the fence. I agree with most however I am not sure about the “cheap equals cheap” call. My view is that the costing model in recruitment agencies requires an overhaul since the GFC which reflects the changes in the market place. Until there is some disruptive external recruitment solutions to come into the market (as Jon mentioned in his blog last Friday – http://rice.co.nz/thewhiteboard/just-one-recruitment-prediction-2014/ ) the market on both sides of the fence won’t change.